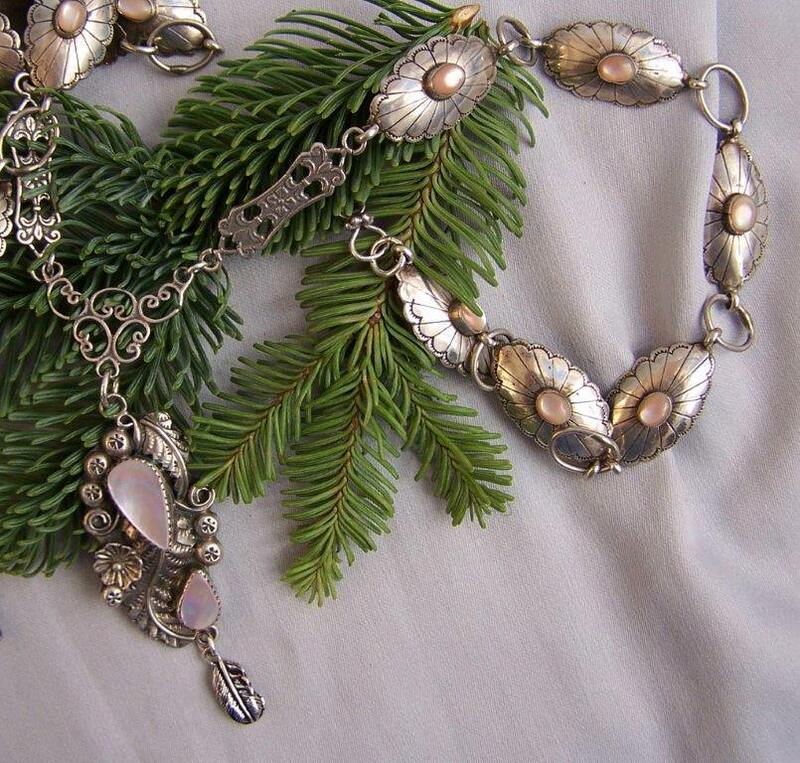 This is a long and lovely sterling and soft pink Mother of Pearl necklace. 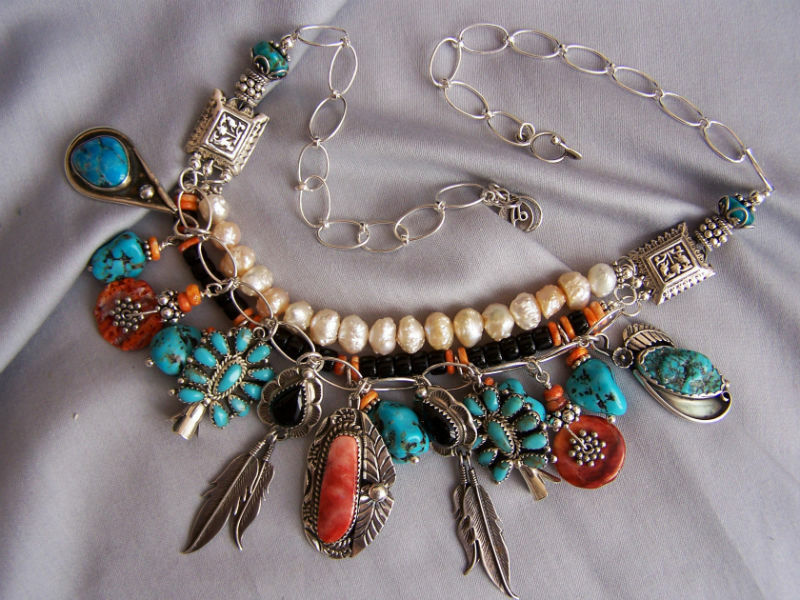 Navajo made, each hand stamped scalloped sterling segment contains a small hand cut Mother of Pearl stone, and the focal charm has two larger Mother of Pearl hand cut stones in saw tooth bezels. 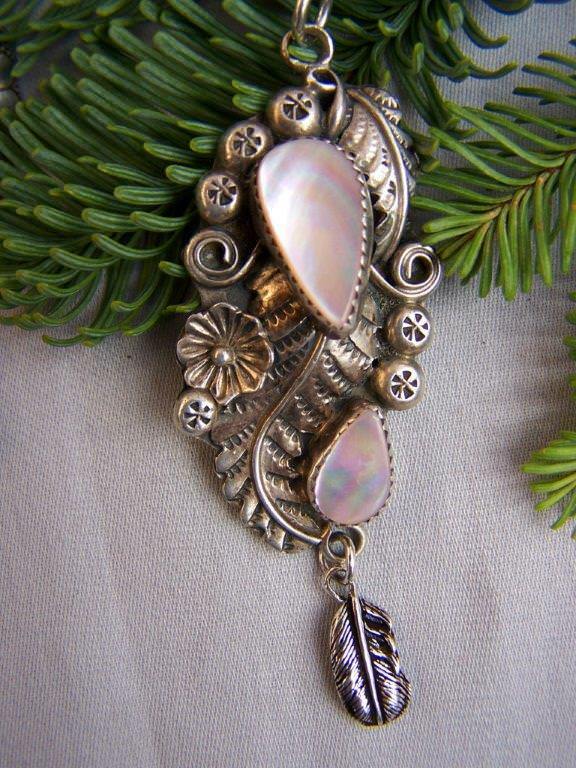 All around these pretty stones are sterling leaves, 7 little flowers, a squash blossom and a feather dangling at the bottom. 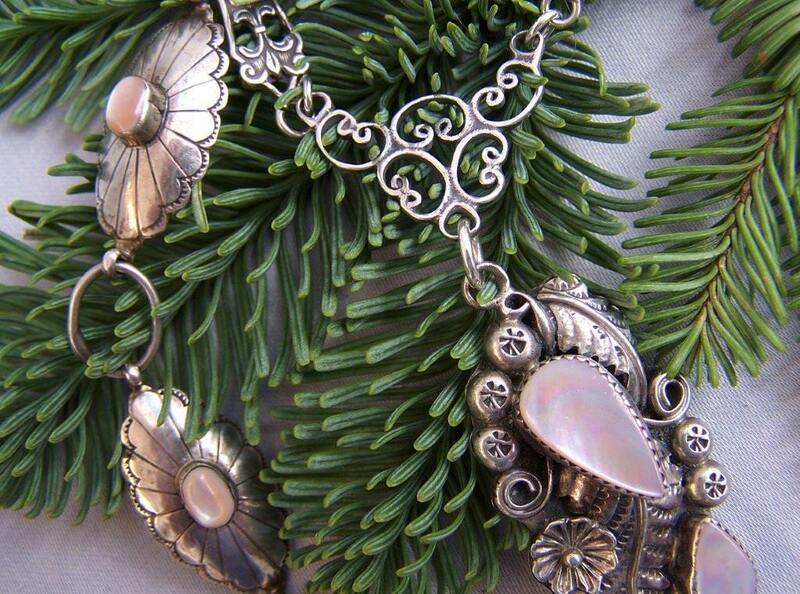 The focal charm is joined to the sterling segments with silver links. 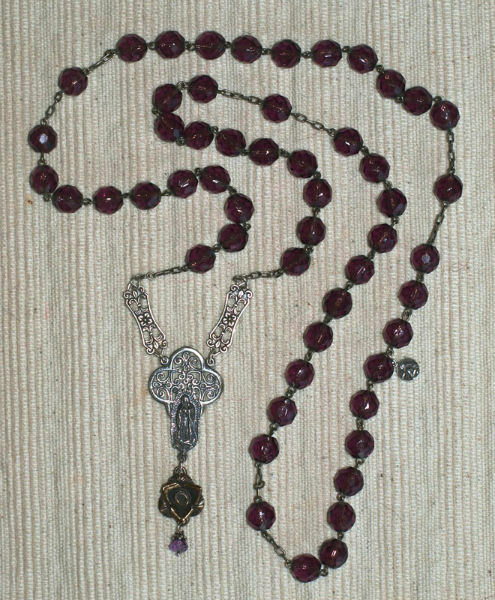 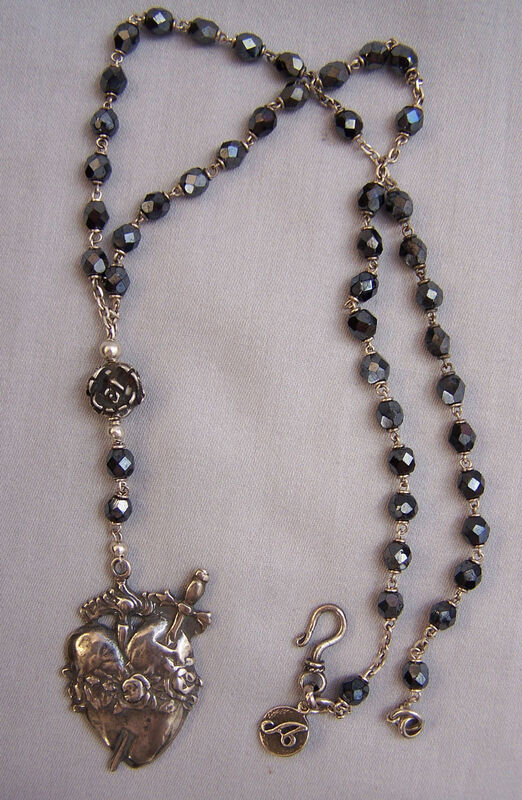 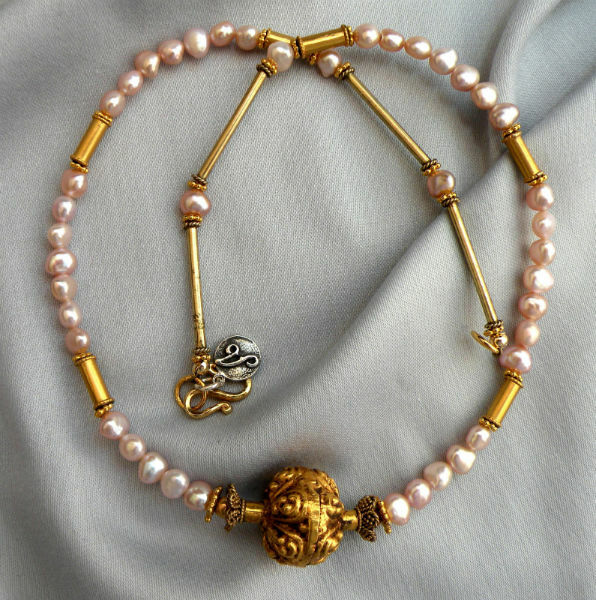 This necklace is about 28″ long, with a simple clasp, light in weight and elegant.